Book hotel rooms online with us at Hotel Atismar at the lowest rate, guaranteed. 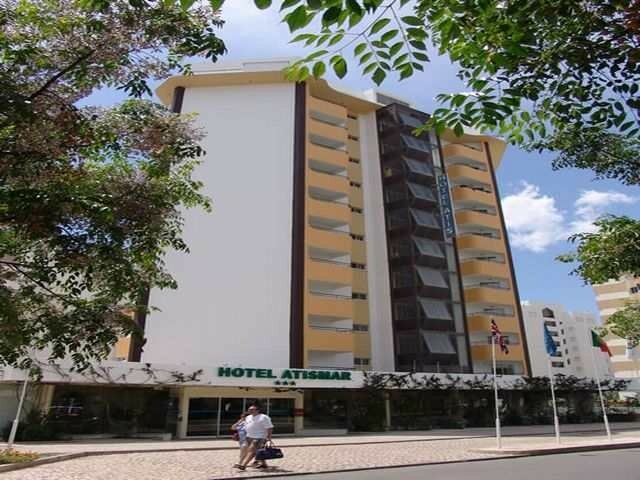 Get a holiday discount room rate at the 3 Star Hotel Atismar located in Quarteira in the Algarve. The hotel is only 50 metres from the sandy beach and has 97 air-conditioned bedrooms that offer holiday accommodation for one or two persons. Each room is equipped with satellite TV, radio, telephone and a safe. The hotel is very centrally located within Quarteira making shops, restaurants and bars, within very easy walking distance. Hotel Atismar in the Algarve has an outdoor swimming pool, a restaurant and snack-bar. The Vilamoura Golf Resort is less than 2 kilometres from the hotel. Free Wi-Fi is available.